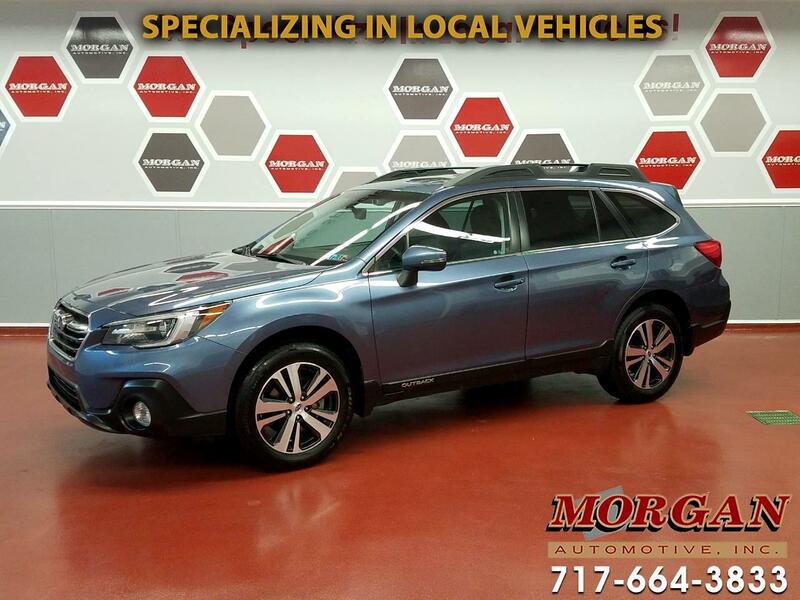 LOCAL TRADE****LIKE NEW CONDITION 2018 SUBARU OUTBACK LIMITED AWD****CLEAN CARFAX****This beautiful Outback is a legend for its safety and this one is equipped with the latest in driver's assist features to keep you and your family safe on the roads! Comes with Subaru's cutting-edge Insight technology providing lane departure warning, pre-collision warning with assisted braking, adaptive cruise control and blind spot monitoring system. Other great features and options include heated front bucket seats and heated second row bench seats, power sunroof, power tailgate with adjustable height setting, large touchscreen infotainment center with Navigation, rear view camera, Apple CarPlay, Android Auto, AM/FM/SXM/CD/USB and Bluetooth radio with Harman Kardon premium sound system, 2-position driver memory seat, dual zone climate control, traction control, power equipment and leather steering wheel. Runs and drives great, has just been through our Morgan Automotive certification passing a 110 point check, fresh oil, and tires and brakes are in very good condition. Comes with the balance of the factory warranty with options to extend coverage for added peace of mind. Financing is available, if interested please contact one of our commission free sales team members.